Congratulations to Baker Seeds, The Seed Bank and all those who worked hard on getting the signatures for the requirement to LABEL GMO products, on the California ballot! … and this guest post is definitely one on GMO’s that presents a very clear argument for the issues involved. A Guest Blogger ….It’s a fantastic article that could also be titled; Everything You Ever Wanted to Know about GMO’s. 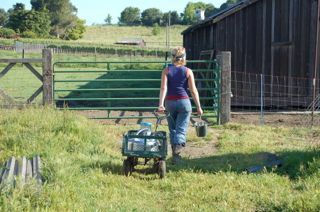 From April 28, 2012 by Soulsby Farm – A Very Small Farm Blog. My name is Chris Vogliano and I am currently studying nutrition and dietetics at Kent State University in their Master’s Program. I am conducting my thesis study on the topic of Genetically Modified Organisms related to Dietitian’s knowledge and perception of them. According to previous research, the public trusts dietitian’s to relay current and scientific information on this controversial topic. However, as I hope to prove in my research, there is a significant knowledge gap in the perception of what dietitian’s know versus the knowledge they actually hold. I chose this topic because genetically modified foods is personal and strikes an emotional cord. Ever since discovering the topic, I have unveiled more and more unsettling information about this complicated and controversial process. Most of American’s have no idea what genetically modified foods are, even though over 80% of our supermarket foods contain them. Many American’s believe that simple crossbreeding is the same or at least a similar process to that of genetic modification. Some American’s place trust in the “assumed” strict regulatory processes of the FDA, USDA, and EPA. The patenting of a transgenic soybean in the early 1990’s has had more of an impact than we would have ever imagined. We have seen a revolutionary agricultural shift in the way we grow our produce form even twenty years ago. Many see this synergy of biotechnology and agriculture as a positive step towards our goal of creating a more economically sound production method for our food. Big agriculture business has consolidated hands over the years to just a few large corporations, leading with the illusion of solving world hunger and bridging the world’s nutritional deficits. As a soon to be dietitian who heavily values nutritional philanthropy, I could not have been more eager to learn more about this technology that could potentially curb our world hunger problems. Let’s take a step back and look at the role of corporations in our society. While we all vary on our opinions of specific corporations, deeming some as good and some evil, we have to remember one simple fact. Through all the humanitarian efforts some might drape over their figurative bodies to display a positive PR image, corporations have one goal and one goal only. The primary goal of a corporation is to increase profits for its shareholders. Plain and simple. While some corporations may choose donations and community building tactics to seem selfless, at the end of the day it is simply to make you feel better about being a customer of their product. This is not to demean the great things some corporations have done, but to call it an altruistic act is not so valid (arguably, is anything actually selfless? a question better saved for your philosophy 101 class). A desired gene from a species not related to the host organisms is transferred into the cultivar or desired product (while sounding simple, this is actually quite a complex process). The interesting part is that we don’t know how this transgenic, or crossing DNA from one foreign species to another affects humans or the environment. This technology was developed and implemented into our food supply less than 15 years ago. The next major products were DDT, Lasso, and Agent Orange, which we now know are highly carcinogenic. Now they are trying to sell the idea of “genetically modified seeds” to us as being healthy and safe, when in all reality they are a self regulating organization whose primary interest is not the health of the consumers, but the money in their pocket. European countries have strict regulatory standards and most countries have stopped the production of GMO’s until further testing has taken place. Those countries who do have GMO corn must blatantly label their products with the phrase “this product contains genetically modified ingredients”, which protects the integrity of the food supply and the safety of the consumers. GMO seeds have NEVER been tested in human trials to determine the impact they have on our bodies. 60% of our DNA is identical to that of corn and soy, and we have no idea how this transgenic process of altering genes in our food will affect us in the short term or the long term. The only test currently being done to determine the safety of these products is happening right now, in our grocery stores. As American’s, we deserve the right to know what is in our food. There is a serious need for us to take action on this issue that will help define the future of the agricultural food chain. We need the health of our food to lean in our favor, and not that of large corporate interest. While there has been unethical practices that have been slipped passed the American consumers unbeknownst to them in the past decade, there has never been a more opportune moment to express out opinion than now. More than ever, people are forming organizations and events to express their desire to have genetically modified foods labeled. It is out food supply and we deserve the right to know what we are consuming. Bessie, our standard Jersey who gives wonderful milk, is expecting any day now. We’ve been without her milk for several months because we wanted to give her time to build her system up before she delivered. Bessie was purchased from a local commercial dairy in our area, that had been in the business (family) for over a 100 years. They were fairly close to organic in the sense that they did NOT use antibiotics, hormones, or and steroids to increase milk production. They did some pasture grazing besides the grain they fed. Definitely were not certified, which is just about the only way family dairy farms can survive these days. Organic certified milk brings a premium but the middle man will only buy so much organic milk. The rest may still be organic but brings a much lower price because it must be sold as “regular” milk, once the “quota” has been filled. On the other hand, dairymen have found that their VET costs are much less with their pastured dairy cows… so there is a payoff for them. Cows in a standard commercial dairy are kept on the average, only 2 1/2 years before being sent to the slaughterhouse (for hamburger). That makes them about 5 years old (2 years before their first calf and then 3 years “on the line”), before the are out the door. Bessie was almost 5 when we bought her from the family dairy that was closing down after a 100 years. Bessie was perfect for us beginners. Mellow and fairly patient…. 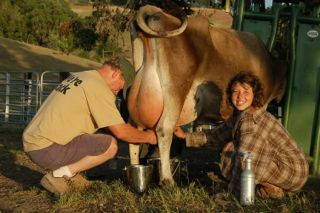 except she MUCH preferred being milked by machine (10 min) vrs us hand-milking (45 min). Yep, 45 minutes… you gotta have hand strength, and she has to be happy enough to let down her milk. After about 20 minutes she would get a bit ansiy… looking back, wanting know what was taking so long. My 1-2 cups of milk was not enough to get me through the door and face the waiting crowd who wanted to try her milk! We’d keep plugging on… until I could get at least a gallon. jumped to 3-4 gallons of milk. Amazing! 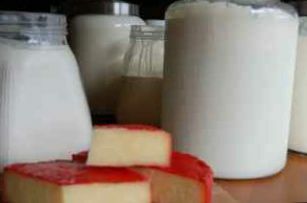 Raw milk, at least Bessie’s milk, has a sweet fresh taste to it. Very different from commercial milk. I used to wonder why milk came in different prices. Now I know (and can taste) that often milk is “made” with powdered milk. It’s cheaper to transport (and lasts longer) when the liquid is removed… and then added back later. Sometimes the milk is a blend of powered and whole milk. But back to Bessie. 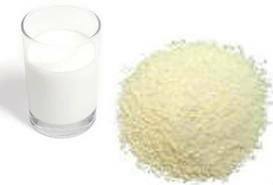 We did some testing on her and found that her milk was A2/A2… just means that one of the amino acids in the milk is slightly different, and people who have trouble digesting milk, can handled A2/A2 milk without any problems. 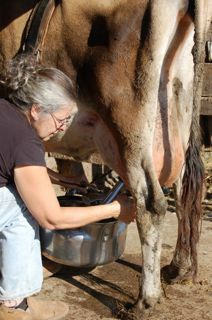 It’s actually the older gene and a mutation, known as A1/A1, occurred about 6,000 yrs ago… which most dairy cows carry. We’ve had several non-milk drinkers (because they were lactose intolerant) handle our milk just fine. Glug-glug-glug… a gallon later. Did I mention they have NO problem with the milk, other than keeping some for tomorrow! Now my daughter, who has a RESPIRATORY allergy, get’s worse. For her there is something else in the milk that she is sensitive to… and with A2/A2 milk it gets worse. When it came time to have Bessie bred we opted to A.I. (artificial insemination) with an A2/A2 Jersey Bull so we are very anxious to see if she will have a heifer that will someday give us A2/A2 milk! Bessie is now 9 years old and has given us good service… but her genetics are telling on her. For the last two years she has developed weepy areas where her skin is thin. Never an infection… but I think, just the long time stress… she’s almost twice as old as her sister cows got to be; while my Old World Jerseys should be good for 20 years… I don’t know if it’s because of the actual genetics or because commercial cows are really pushed to produce in those early years. We take it very easy and only milk once a day… because we would rather have the longevity, than quantity. I also dried her off three months prior to her delivery to give her extra time to build up her reserves. Bessie is due any minute..
her bag has filled up and it was leaking. We put her in the fresh pasture between the house and the mini horse paddock… to keep an eye on her. Chocolate and her calf are with her to keep her company. The next morning, she stopped eating or chewing her cud. She laid down and started “laboring”. I raced around and grabbed my camera and cellphone. I patiently sat quietly for at least an hour. Her companion cow, Chocolate, and her calf, would come over and nuzzled her occasionally, as she labored. She would pant, and then rest. I assumed that the calf was moving down the birth canal & called our intern and a neighbor the the imminent birth. About 30 min later she stood up and did it! She delivered a nice, big, huge… cow pat. Boy, did I feel dumb. She stood there for a moment. Looked around. She’s so big (not huge, though) and when she lays down there is so much pressure from the calf, on her bottom, that everything swells up. You can see the calf shifting on occasion, and mom shifts around trying to get the calf in a more comfortable position (after having four kids, I remember THAT feeling very well). Bessie looked around another moment… then she started on lunch…. If she’s feeling good enough to eat, she’s definitely NOT delivering. Back to the house…. no more excuses not to do MY chores! I remind myself that a “watched pot” doesn’t boil (or something like that)! I’ll leave her buddies to “labor sit” for now. He & mom will keep Bessie company, but continue on with their "business"
Did you know cows have families? I mean, like real family structure. They really do form family groups and an outsider is definitely odd man out. Anybody new is suspect… even if they “used” to be part of the social group but have been gone for a while. At least for a time, while the pecking order is re-established. 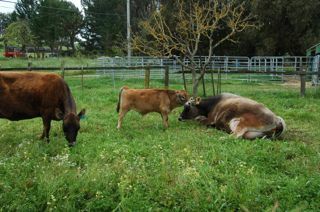 several members of the "family" watch carefully as Jim checks out the new calf! 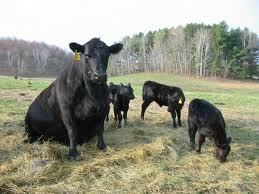 Mom cow, and her “sister’s”, aunts, uncles, & their babies can make up a group. It appears to be a matriarchal grouping. The bull is there but not really the dominate member. Besides, he may be “covering” 30+ females (well, not in our herd… but in some of the big ranch operations). We don’t keep our herd bull separate. It’s good for the young bulls to have a role model, and to be part of a hierarchy as they get older. They learn manners, work out their pecking order among the other young bulls before they can hurt each other, and respect for the “head” guy. Our “herd” bull is quite a gentleman. He courts the females… nuzzles them, sniffs, and will keep them company. He can tell by sniffing when she is coming “into heat” (i.e. going to ovulate). If you watch closely they do this really weird funny thing with their nose & upper lip. They breath in the females smell while curling up their upper lip… he is breathing her pheromones (chemical odors) across special sensors in his nasal cavity that tell him if she is getting ready to ovulate. PMS is not JUST a human behavior! The females go through very specific phases as well. We call them 1) PMSing (pre-menstrual syndrome – irritable), and 2) Lovey-dovey. A cow does NOT have a “human cycle” although she will produce a thick mucus when she is ovulating. But first she gets very irritable… butting others around her, bawling, and maybe “off” her feed. If she is milking, her milk production may drop a bit. Then she does a complete turnout about; she changes into a NEW woman… nuzzling other cows, rubbing, and nurturing behaviors. If you are driving by herds of cows out to pasture, and watch carefully, you can see some of that behavior. It’s not all just eating, and chewing their cud. The assigned babysitter, for the calves, while the mom's go eat! Any females we do not want bred by our herd bull, we will pull out and separate her. We do make sure she has company, as cows are by nature, herd animals and are very stressed when alone. We try not to separate for to long, or else she will be an “outsider” when she returns to her herd. Everyone will try to “kick her a_s” and try to push her around to see who will be at the BOTTOM of the pecking order. The adult female who is at the bottom of the pecking order will have to do “guard duty”, i.e. watch out for predators, baby sit the youngest calves, eat last, etc. Sometimes a “teenager” cow will be assigned to baby sit the calves while the mom’s go off to eat. Remember, the young calves are just practicing to eat, for the first couple of months, and they take LOTS of naps. And when they fall asleep they can be almost impossible to wake up. The first time I tried to wake a calf up, it scared me to death. I thought it was dying… it would not budge . When I tried to pick up the calf (gal durn it, even the babies are heavy), it’s head just rolled around. I was sure he was deathly ill and that somehow, I had missed the signs. Collapsed on the ground, unable to wake up! An hour later, he “woke-up” and raced off to play with the other calves. I felt pretty stupid… I had called Jim at work, panicky, and wondering if I should call the vet out. Thank heavens we decided to give it a few hours. Besides, our general policy was to let nature take it’s course. 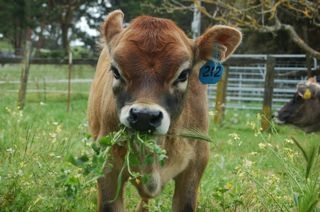 If a calf was not meant to survive, there is probably a good reason for it. And we are in the mode of raising livestock that DON’T require coddling (frequent vet visits, medications, etc). Mother nature produced livestock that could survive without human intervention. It’s often our human interactions that cause the problems. How BIG is YOUR barn? People ask about “the barn”. We don’t have a barn for the cows or horses. They are very stressful environments for them (and un-natural). They build up accumulations of urine/manure that is not weathered away back to fertilizer. The ammonia (from the urine) and dust (from the hay) that accumulates can cause respiratory problems for them. In nature, cows and horses will seek out trees/brush for wind & shade protection. If a lean-to is available they often choose NOT to use it… even when we have heavy rains. Of course, we don’t get snow where we live, so we need less infra-structure for the livestock. Where there is heavy snow (as in several feet of snow) & the water is frozen, barns are utilized. For some, a deep bedding method is used, where straw is put down, and added to on a regular basis. It absorbs the “outputs” of the livestock. Some folks throw some corn/other grains in when the different layers are added. At the start of spring, when the livestock are back out in the pasture, pigs are attracted to the germinating grains and used to “work-up & compost” the material in the barns as they “hunt” for the treats. Then it’s put back into the soil to return the nutrients and fertilizer. I think I heard that Joel Salatin uses something like this technique. 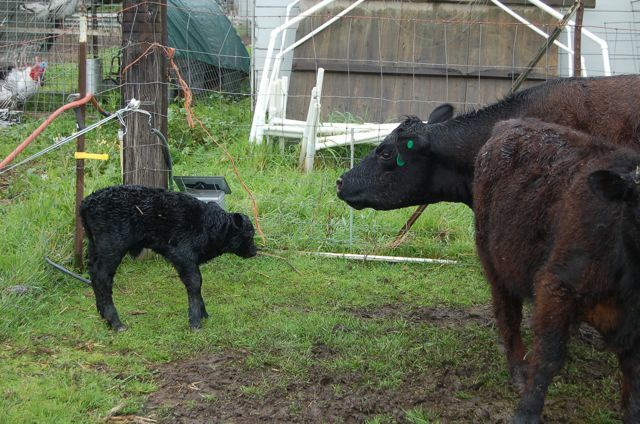 Our BAWLING Calves… and their worried moms! But I was going to tell you about our calves. They are 4-8 wks old and it was time to tag and band them. AND to pull tail hairs (but I forgot 😦 , for genetic testing). Luckly, their genetics don’t actually change… and it’s not to hard to pull tail hairs. The trick is just to make sure you get the “roots” where the DNA is accessible for testing. Much, much easier than drawling blood for testing. We DO NOT BRAND our cows. Lowline Angus are fairly valuable, so we do DNA testing. If one were “stolen” it is easily identified through their genetic code. It also confirms who the dam & sire are, for legal purposes. We do TAG them to make it easy to identify who is who. My system: green tags are fullblood lowline angus. Blue tags are percentage lowline angus. Yellow tags are Old World Jersey Heritage blood lines. Because we have a small herd, we number by the birth year (’12) and the order of the birth (i.e. 1,2,3). We have 121, 122, 123, 124, and 125 is due any day. Hopefully, an A2/A2 heifer (Jersey milk cow). We had to “band” one calf (yep, thick rubber band) to convert from a bull calf to a steer. We do this rather than castrate by cutting. I think it’s less stressful on US… not sure about the calf. But he just races back to mom and nurses. Does not even bawl, so I think it’s just being restrained that they don’t like. Scary, I’m sure. Tagging takes about 2 seconds, and again, they don’t really seem to mind it. I think at this young age, it’s like getting your ears pierced as an infant. The nerve endings don’t seem to be “active”. They never seem to actually mind it. It’s just being forcibly separated from mom (all the moms) & being restrained, that they get shook about. The mom’s are worried about EACH baby. They race around, kicking up their heels (literally), and search to find a way to the calf. Not just their own… but all the calves in their family unit. If a calf starts bawling, each mom tries to locate it, and when they do, they come over and sniff & nuzzle the calf. When the calf is finally released, each cow must reassure herself that the calf is actually OK by physically interacting with it. 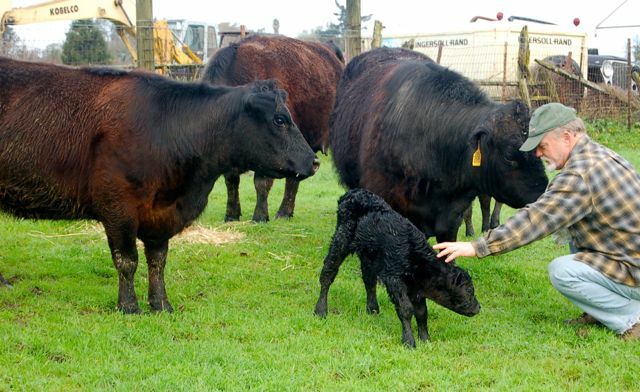 Their own calf will nurse… comfort food and some TLC (tender loving care). It’s been absolutely fascinating to watch and learn about this whole process. If we have to do something stressful, we try to group it all at one time. Only ‘one” event and not several spaced out over weeks. We don’t want them to become apprehensive at our approach. We are learning to live in synch with our livestock, and to try to respect their systems. Some people might scoff but I think happy, unstressed animals make healthy animals. Dollars NOT spent on a vet, equates to more dollars in MY pocket… so it’s in my best interest to take care of their best interests! OK, OK. I’m sure you’ve heard the “scams” over the years…. follow MY advice and earn “millions” with very little effort! Of course, most of those guys… want a small “fee” to tell you what you need to do. If you operate on the theory that “you get what you pay for”, it does make sense in a way… to charge. I’ve paid some of those guys, and I did learn. I didn’t learn about millions, that’s for sure, though. But it did help me learn to think outside the “box”. On a farm, in suburbia, in an apartment…. 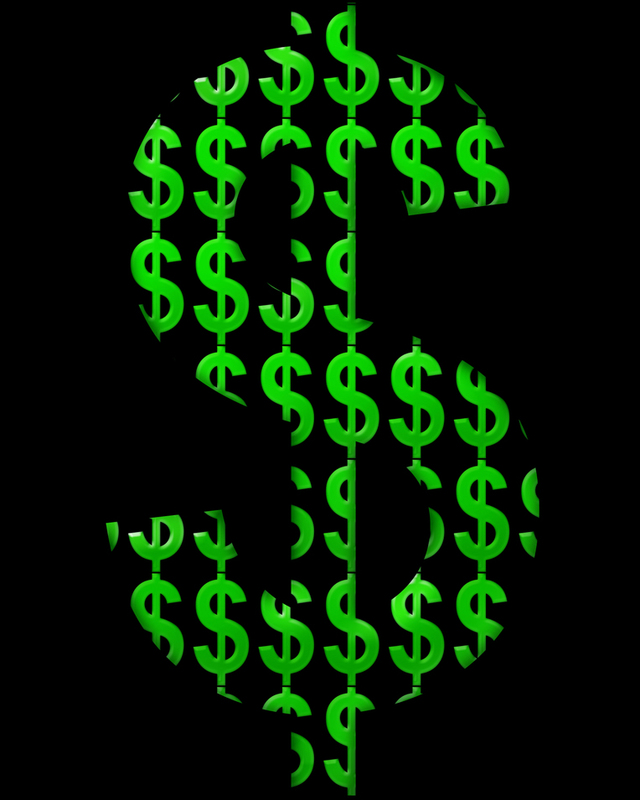 there are at LEAST three things you can do that will make you dollars. Most of us think in terms of “bringing MORE dollars home”, but just as useful is to think of it from a different angle. Less dollars going out. I would guess you can only count on 50% of each additional dollar that you EARN as being actually in your hot little hand! (If you had to pay child care while you made those dollars, then you are probably in negative territory). That was the cool thing about the stock market… you could let your money do the work while you stayed home. Uhhh, except for a few details there… that again you can be taxed through the roof, if you do buying and selling within a year of purchase… in addition to the fee to actually buy and then sell and then buy. Hmmm, and if you did actually “make $’s” there is again that problem of being forced up into a high tax bracket. When you went to use those dollars, dang it… there you are again, usually paying some kind of sales tax on it. How much of your dollar do you actually get to use? So yes, I can double your useful money value. Maybe even triple it! Well… some of your dollars. But it won’t be glamorous, or yuppy. You can’t whisper into someone’s ear how you made out big on “……” (fill in the blank). 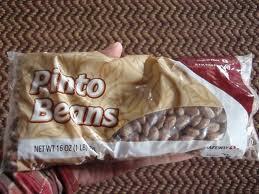 I went down and bought a bag of pinto beans… 99 cents. Boiled ’em up (yep, it’s actually quite easy to do)… google it! For that one dollar spent, plus the energy to cook them (let’s call it 10 cents), and then to store them in the fridge/freezer (which is already being used but let’s call that another 10 cents). We’ll call it $1.20 total (and you’ll reuse containers so we won’t factor in container costs). One lb of beans = at least 6-7 cups of cooked beans = 3-4 cans of purchased beans. Well, I knew you would NOT believe quadruple your money! but hey, that $6.00 you just saved… is a REAL Six Dollars… you don’t have to pay any more taxes, social security, child care, etc., costs on it.You would have had to “earned” $12.00 to have the same value that you just saved, if you “bought” those groceries at the supermarket . You know, a knowledgable, skilled homemaker (cook, etc) is worth HIS/HER weight in gold at home! The other pluses you get with this deal: less processed food, long-term storage, no exposure to cans lined with BPA, you know exactly what went into the making of the food, no preservatives. Did I mention, you saved your dollars for things that you MUST pay with dollar bills… doctor bills, fuel, IRS. ONE) make food from scratch… it’s much cheaper, you have control over what goes into it, less exposure to additives, customize to your taste! TWO) what you must purchase, purchase now (prices on staples are skyrocketing and will continue to do so) in larger numbers and store. I used to get tomato sauce for 20 cents a can a few years back. I now make most of my own but when I get it at the store, it’s up to $0.79 or more. For now, I would buy on sale, and in bulk amounts. Take $20/paycheck and allot it to your “investment account”. Track it, bet you’ll be surprised at your “annual rate of return”. Not quite as big a money investment but buying at today’s prices will buffer the sticker shock, as prices increase. THREE) grow some things, on your own. I was amazed at the production I got out of just a few plants. I planted a 10 ft row of beans… and could NOT keep ahead of them. They just kept producing! I finally decided I’d try NOT picking them. I ended up with “dry beans” that I then picked and stored away to make winter soups! That 10 ft row probably cost me $2/seed package for a bushel of beans. ($4 if I bought 2 cell packs of “starts” ready to put in the ground). During a month of production I got at least $4/worth of beans A DAY. Green beans… and then at the end of the season, another $5/dry beans. $4×30=$120 green beans, 5# dry bean x $6= $30. $150 from a $2 pkg of seeds… well, you do have to account for some water, trellis, and your time. But that is a heck of a deal… just not exactly glamorous! You don’t need a 10 ft row of beans…. but try three different plants, a cherry tomato & a regular size tomato plant, green beans or peas or lettuce or onions or potatoes or cucumbers Things that you will actually eat, plus try one new thing. Plant a Salsa Garden… tomato, tomatillo, chili peppers, onions, cilantro! DON’T plant what you DON’T LIKE! Tomato Container Garden should be much larger! Just don’t kill yourself trying to do too much… start small. It is truly amazing how little you need to grow to get a very productive output. You will be absolutely impressed by how good your homegrown food can taste… amazing difference from store-bought! 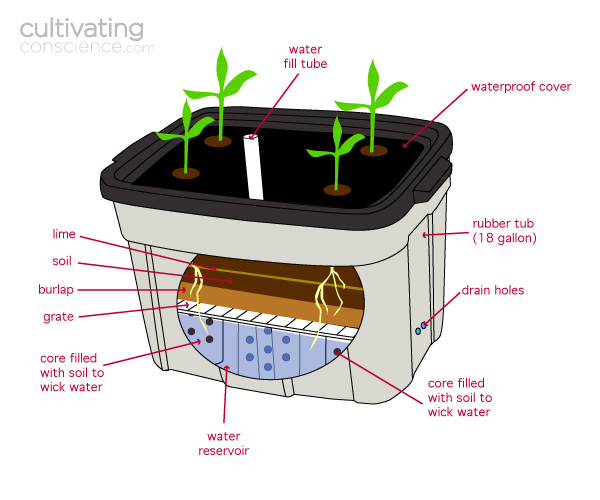 Self-Watering Container (aka Earth Box)… I’ve included a unit you can put together! there is even a Yahoo group, ContainerGardening, that you can join… great at answering questions. You need roughly 6 hrs of sunlight for fruiting plants. Shade plants (lettuce, radishes, onions, beets) can tolerate much less sunlight. Basically, a big tub with a false bottom. The false bottom has a wick down into the water stored in the base, to pull up the water it needs, when it needs it. You use a potting soil(not garden soil… too heavy, thick, clayish) to fill the top-level, and then plant. You do need to be aware of how big the plants will get, that you want to grow, and factor that in to the size of the container. 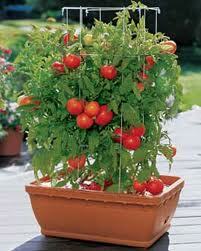 You can get a small cherry tomato plant, that will stay small or one that will grow 4 ft tall by 4 ft wide. Do your research! There is a refill spout to replenish the water drawn up by the plants. It doesn’t take a field, or even a greenhouse, to enjoy your own sustainably grown produce. A sustainable “micro-farm” is a good choice for those who may have limited space or who might want to experiment with small amounts of different kinds of crops. And a microfarm is a great project for parents, teachers, and anyone else with kids looking for fun and educational things to do. It’s easy to design them with an efficient watering system, drawing moisture from the bottom instead of relying on watering from the top. That makes it a good first introduction to sustainable-agriculture practices. Here are the materials you need and step-by-step directions to assemble a water-friendly microfarm of the type the SIFT project has used to introduce local 4-H members to sustainable agriculture. Have fun! • Four plastic individual-serving yogurt containers, plastic cups, or sturdy, similar-sized items to use as braces. They should be the same height as the wicking pot. • A 20-inch-long PVC pipe with one end cut at an angle. The pipe should have a large enough diameter to make it easy to use a hose to run water into it. Attach the wicking cup to the lid with locking ties. • Punch a hole in the tub approximately 2.5 inches from the bottom. This is to allow any excess water to drain from the tub. –Cut a hole in the center of the lid that is the same diameter as the wicking pot. • Place the wicking cup in the hole at the center of the lid and attach it to the smaller holes in the lid with the locking ties. Punch new holes for the ties if necessary. 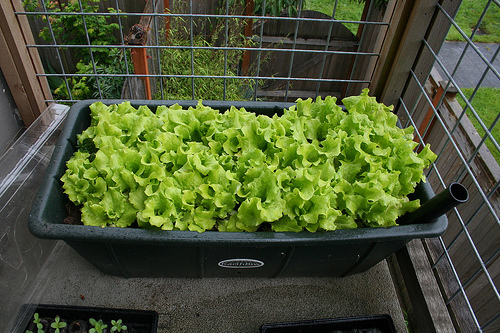 • Use the PVC pipe to add water to the bottom of the tub once you have planted your crop. Be careful not to waste any water. You can make a “dipstick” with such items as a dowel or yardstick, or to check the water level in the tub through the pipe. If you are like many people (who did not actually grow up with a silver computer in your hand) and have to actually figure how things work, I have a few minute things that can get you where you want to go. Me, if I have to hit keys more there three times, I’m DONE! I’m part of the KISS generation (Keep it Simple, Stupid!). 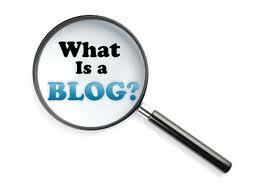 A BLOG is just a running “diary” of whatever one chooses to write about. While I would like to add some “bells & whistles” to my blog you run the danger of getting way too complicated for people who don’t actually LIVE in the blogosphere! It has a place to enter your email address, and then you are sure to get each post! 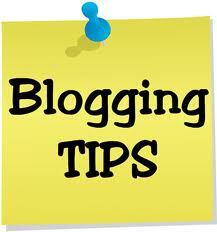 Tips on how to USE a Blog Page! Next you see a calendar with dates highlighted. You can put your cursor over a highlighted date for a second or two, and it will give you the name of the blog post of that day! Click on that date and it will bring up that post. Under the heading Archives, the months are listed with a number… the number of blog postings written that month. If you click on the month, the calendar will show that month and you can, again, put the cursor on the date and after a few seconds, the title of the blog post will show up. Recent Posts heading is pretty obvious… just a listing of the last ten! Education has some links to things I think are important and I want a “HOME” for them so I can get to them quickly and refer others to them. Well worth your time to go through them. Tags is an interesting approach to finding info. I’m suppose to tag my posts with a words that reflect what is discussed in that post. You can actually click on one of those words and all the posts that related to it, will come up. The LARGER the word, the more often it is mentioned. It’s called a “word cloud”. You can see that “family” appears very small & “calf” is huge. You know that I have mentioned “calf” a heck of a lot! If you move to the main column, the actual post title... you’ll see some words under the title that relate to the blog… another way to track down info. If you click on the word “economics” you’ll get all the blog posts that have that category listed. The Tag words are a little more specific in topic: birth, dairy cow, milk. Sometimes the word will be in both groups. PICTURES: if you click on a picture it should show up on another screen, only much larger (you know, so you can actually SEE the picture)! Hope this brief review makes it easier for you to use ANY blog site! Lots of interesting info out there… and you don’t even have to leave home to get it. Whoops… that can be a problem though. Take care, Get outside, Grow something… get into touch with the “real” world! Too much time on the computer/video/tv/books trigger depression!!! A simple solution… re-engage. One of the barriers for small farm folks is a place where you can process your livestock humanely, as almost all of those facilities have closed down due to regulation barriers. In order for me to sell, by the piece, products have to be done in a USDA certified facility where a regulator can certify that the animal walked… often 100’s of miles away. For example, in southern california they have NONE, nada, as in “zero”…. livestock have to be sent out-of-state or to the north, to be processed. In northern california, fairly local, we do have one that will do beef… and none that will do pork. I have to go a 100 miles (each way) to get pork processed. Most of our pork products have to be sold as “pet food”. A farm in Vermont, Sugar Mountain Farm, has taken the project on, to solve the problem for their area… and are requesting Kickstarter funding. What is special about this farm, is that they are re-introducing the old pasturing methods and sharing that information on-line. Walter has a blog and moderates a group that helps farmers with a multitude of questions. He gives freely of his time, energy, and experience! We are supporting their project, and I’m passing the word on. But maybe there is something in YOUR local area you would like to support. You can check out the Kickstarter site, and find a way (from as little as a single $, to more) to support building our local resilience (i.e. decrease our reliance on industrial foods/services). It’s another way YOU can make a difference. You CAN effect changes… with your dollars and your feedback to people who WANT your dollars. I don’t think ethics or health matter much to the bean counters. Last summer when we went to “farmer’s market” I took along a laminated info sheet about “pink slime”. It was quite an eye-opener to many people. You know the left-overs that are scrapped up, chopped up, and extruded into pellets that look like ground beef?…. and then hit with ammonia to kill any nasties it has embedded in it. We sell our own home-grown grass-fed beef because of the stuff that goes on in the industrial food system. I want the choice… and better yet, I want the taste and the quality of my own meat. So we are blessed at having that choice to grow our own… and to offer it to others who want that same choice. On a side note, we’ve been quite busy on the farm. 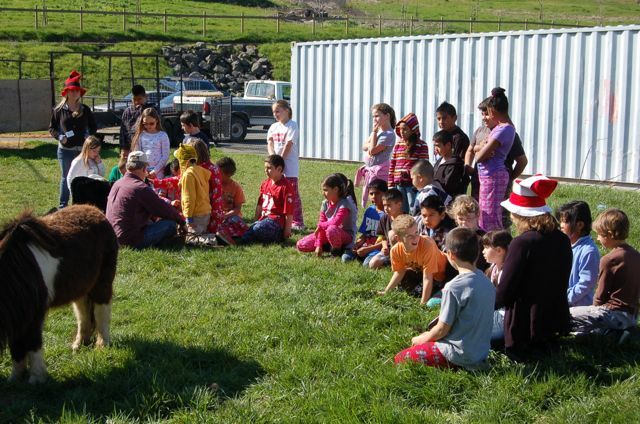 We did a couple of school field trips (3rd graders to the farm)… roughly 75 people in all. It’s awesome to watch the kids get to scratch a pig, see a cow being milked (up close), and watch a mini-horse get trained to trust a human. To feel how warm a pristine egg is, just after it’s been laid by a hen. To notice what wonderful smells and warmth comes from a small home built greenhouse. I also appreciate how much the adults value the visit as well! When I get the pictures, I’ll have to post more.